Daylight Saving Time, abbreviated DST, begins again this Sunday, March 11 at 2:00 a.m. Eastern Standard Time, when we will set our clocks forward one hour and gain more sunlight in the evenings. Only about 40% of the world’s countries use Daylight Saving Time. Ben Franklin is often given credit for the idea of Daylight Saving Time. However, a British man named William Willett led the first push to put this idea into action. He believed that the United Kingdom should advance its clocks by 80 minutes between April and October to enjoy the weather. He published a brochure in 1907 titled “The Waste of Daylight” and promoted his idea to the masses. The British Parliament did not implement Willett’s idea. Germany was the first country to enact Daylight Saving Time in 1916, with the goal of preserving electricity during WWI. In 1918, Woodrow Wilson signed the Standard Time Act into law, which mandated time zones and established Daylight Saving Time beginning March 31. After WWI, Congress abolished DST and it was not utilized again until President Roosevelt instituted a "year-round" DST for WWII. Our current DST standards are the result of the transportation industry’s push for consistency. The Uniform Time Act of 1966 established uniformity and simplicity regarding where and when DST is applied. Congress has expanded Daylight Saving Time three times, most recently into November in 2007. Most recently, the Florida Senate passed the Sunshine Protection Act on Tuesday, which would keep the state in perpetual Daylight Saving Time mode. However, they can't actually do that: "The federal government controls the nation’s time zones, as well as the start and end dates of Daylight Saving Time. States can choose to exempt themselves from daylight saving time — Arizona and Hawaii do — but nothing in federal law allows them to exempt themselves from Standard Time." Don’t forget to move your clocks (be they digital or analog) forward one hour before you go to bed this Saturday night! 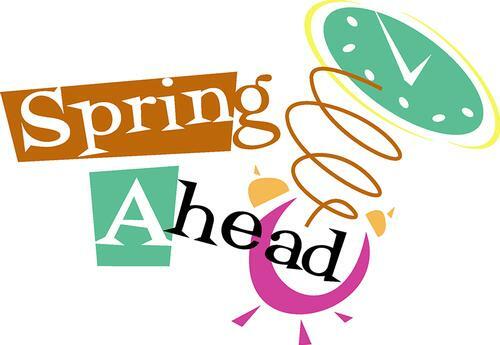 Don’t forget to move your clocks forward one hour before you go to bed on Saturday, March 10!